Did Motorola just confirm a foldable RAZR phone? We've already seen a couple foldable phones shown off this week from the likes of Samsung and Huawei, and we've seen teasers of foldable phones on the way from Xiaomi and Oppo, but the one rumor that has caught the imagination of many mobile phone fans has been the idea that Motorola might be working on a foldable RAZR. At least part of that question has been answered now. Dan Dery, VP of Global Product at Motorola, confirmed in an interview that Motorola is indeed working on a foldable phone and plans to release it no later than other hardware makers. That's not a terribly specific time frame and not really helpful, in general. But, we know that Motorola announces its new devices during an event that tends to take place in June, so it seems reasonable to expect we'll at least see what Motorola is working on during the summer. Dery said Motorola has been working on a folding phone design for a while and has tried a number of different options. He even said that the worries about scratching the plastic display required for foldable displays meant Motorola would likely want to avoid having the display on the outside of the device. Dery also noted that a dual-fold phone would be too difficult for a first attempt. So, that makes it sound like Motorola is working on a clamshell designed foldable phone and what does that sound like? A RAZR, right? 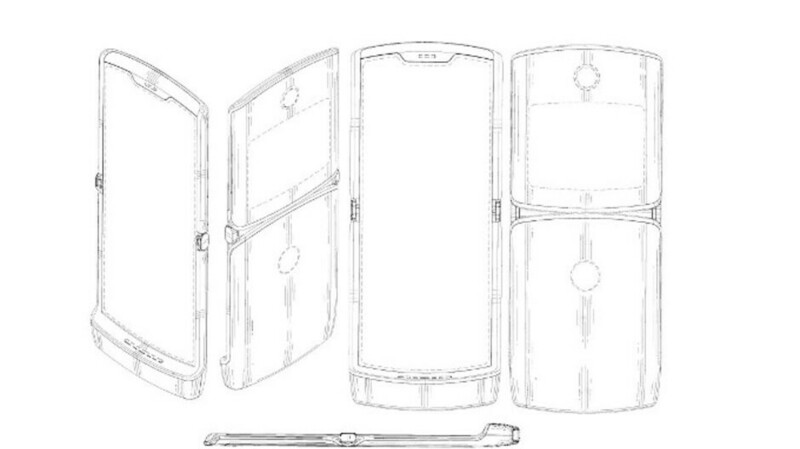 Motorola did file a patent for a foldable RAZR phone last month so that's a lot of interesting evidence. What do you all think? Would you want a foldable RAZR? If it's executed correctly and has a decent battery I would be interested in this over the Fold or the Mate X.
Hopefully the final product looks a little different than what this patent represents - too much upper bezel to go along with that notch. Put the speaker and camera in the bezel and it would look much better. Is no one else worried about your finger hitting the chin everytime? The chin seems in the way. I would be interested even if it just folds out to the size of current flagship. I seldom need a tablet-sized device, but a modern flagship in a smaller form factor? I'd be all over that. This is it, a really compact foldable phone.. I just hope the price isn't crazy high.